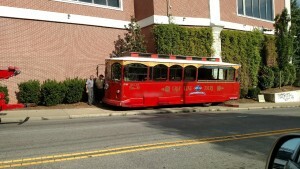 -Tourist trolley off the tracks: This sucker ran off the Merrimon Avenue and onto the sidewalk in front of Staples on Sunday. Thanks to loyal reader Adrian for sending in the photo! -Alcohol law enforcement actions: Last week, I reported on recent N.C. ALE enforcement actions that were specific to Asheville-area craft breweries. Today, WCQS public radio ran an interview with me regarding those stories. Check it out. We are getting so close to opening! All of the parts and pieces are being molded together to create our new facility in Catawba. This expansion will allow us to increase our production tremendously and expand our services to new areas such as Charlotte. We are keeping our headquarters in Asheville and will continue to do what we do best in Western North Carolina as we expand eastward. Click here to learn more about our new facility! We are excited to announce our grand opening date and plans soon! CrossFit Asheville’s Tactical Athletics utilizes the CrossFit method to enhance practitioners’ physical and mental abilities in high stress environments. This program offers constantly varied functional movements conducted at high intensity across broad time and modal domains, with the addition of cognitive and reflexive skills training. This design will allow the “tactical athlete” to achieve an advanced level of physical, mental and emotional preparedness. Our mission is to enhance the efficacy and survivability of the practitioner in any challenge or environment. CFA’s Tactical Athletics program is designed for those for whom cognitive reasoning, reflexive action, and physical fitness will make the difference between success and failure, life and death. We are currently offering individual programming during CFA’s Open Gym times and some afternoon hours. 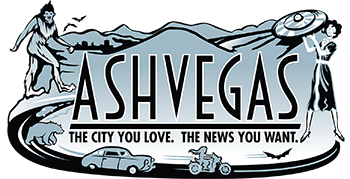 -New solar panel array: Loyal Ashvegas reader Bob reports that there will be a new Solar Panel Farm in a field between the Leicester School and the Leicester Community Center. As of August 17, the City of Asheville’s Development Services hours of operation will be 8:30 a.m. to 5 p.m. Monday through Friday. Previously, the department was open to the public Monday through Thursday. As part of the Mayor’s Task Force on Development, along with input from various sectors of the development community, Department Services identified and prioritized the need to be open five days a week. We expect the new hours of operation to be more convenient, reliable, and better aligned with the community’s business hours. The City of Asheville is dedicated to ensuring safe development and construction. The Development Services Department provides assistance and regulation through review, inspection and enforcement in building safety; planning and zoning; stormwater, grading and driveway of commercial and residential properties within the City limits. Development Services is located at 161 S. Charlotte Street. For more information, call 828-259-5846 or visit http://www.ashevillenc.gov/Departments/DevelopmentServices.aspx. 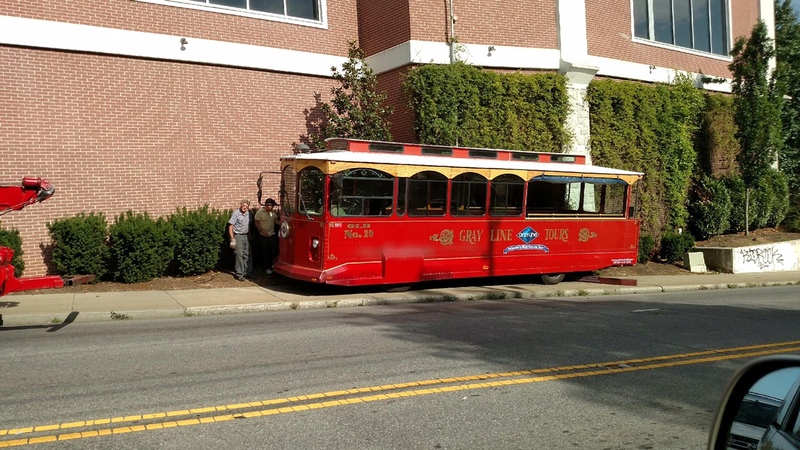 Eyewitness at the time said the trolley was pushed onto the sidewalk for repairs. If a vegan does cross fit, which do they bend your ear about first? Aaand, another reason why walking on the sidewalks of Merrimon is the worst idea ever. What a novel idea. The development office actually being open 5 days a week. Who would of thunk it?